Riccardo Massi loves action and opera. 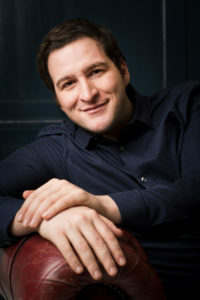 This stuntman-gone-opera singer is currently finishing up a very successful run in LA Opera’s Carmen. We feel fortunate that he was willing to take time out of his busy schedule to answer a few of our questions. I was amazed to read that you are a specialist in ancient and medieval weapons! In fact, you were once a stuntman! What was it like working on “Gangs of New York” or “Rome”? It was an amazing experience indeed. Working with great directors such as Martin Scorsese is something priceless. Plus you have the chance to watch closely some Hollywood stars in their acting process. It’s an experience that makes you richer inside. And then the action, the adrenaline… those were amazing and great years for me! Is it more fun singing at the Met or firing crossbows? Be honest! Honestly? Being on the Metropolitan Opera’s stage is something beyond words. You are there and you sing in this sacred temple of music, a stage where Caruso, Corelli, Del Monaco, Domingo, Pavarotti, Sutherland, Callas, Merril, Tucker and many more of the gods of opera sung performances that remained in history. It is such an Honor – I cannot describe it! Firing crossbows, fighting with swords or with your bare hands on a movie set gives you another kind of emotion and adrenaline – different chills. The magic in this beautiful mechanism is unexplainable; if you are lucky, this magic will touch your soul and will change your life forever. You are currently singing Don José in Carmen at LA Opera. What can you tell us about your interpretation of this role? What is unique about this particular production in LA? This is a beautiful traditional setting of Carmen by Ron Daniels: the stage is very deep (this gives you a lot of space and the feeling to be really in a town) and the whole ensemble is a joy to work with; the colleagues and the conductor are great! Don José is a very satisfying role for a tenor, both in vocal and acting way: vocally because the first and second act are written for a Lirico tenor, while the third and fourth are for a Lirico Spinto, so you have to be prepared to give to your voice different colors throughout the opera. On the acting side, Don José is very peculiar but also very interesting and rich of colors and personality changes. Basically you begin the role as the good guy and you end up as the bad guy. 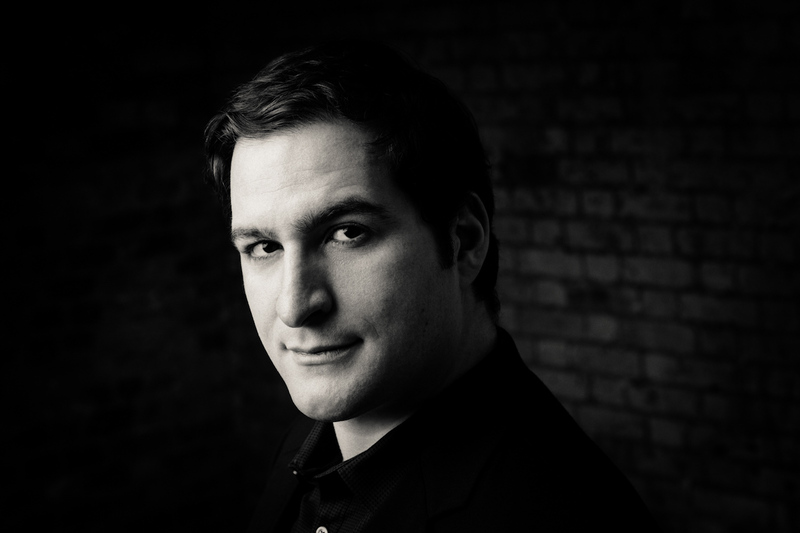 You’ve become a renowned interpreter of the role of Mario Cavaradossi, Tosca’s leading man. Why does this role hold such a special place in your heart? How has your interpretation of the role changed over time? Well, Cavaradossi is an idealistic man and he is willing to pay with his life for what he believes in – how can you NOT love him? I love him the same way I love Andrea Chénier . Of course the role has changed; every role changes throughout the years because you change as a person; all the experiences (both professional and in life) make you richer as a human being and this reflects directly on the character. 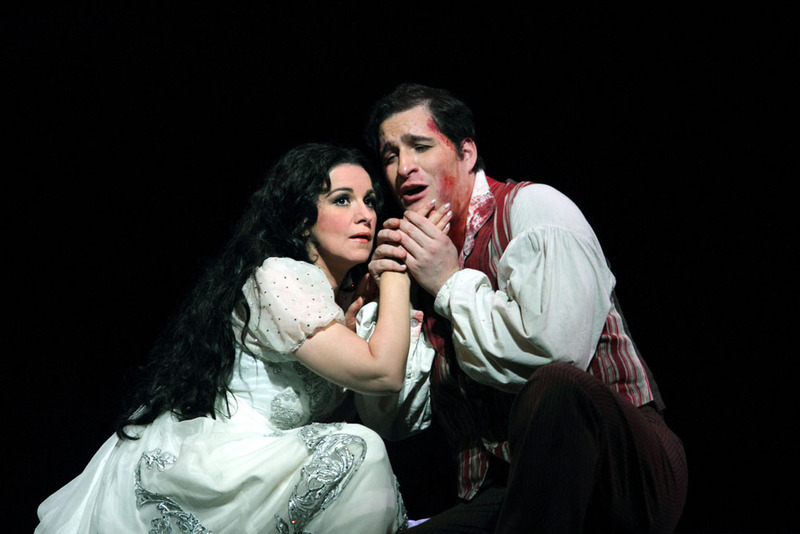 Do you have a favorite opera? What about a favorite role? I have many, to be honest: Tosca, Andrea Chénier, La gioconda, Aida, Manon Lescaut, Carmen, Luisa Miller, La forza del destino. Are there roles that you’re dying to perform but simply haven’t had the chance to yet? Sure! Don Carlo, Ernani, I vespri siciliani, Werther, Faust. Tell us about your time in Accademia della Scala. Those were two intense years! I was very lucky and I had the chance to study and learn from great names of opera such as Mirella Freni, Luciana Serra, Louis Alva, Renato Bruson. What does Riccardo Massi do when he’s got some free time? I love the sea and sailing, so whenever I can I go. Even if I cannot sail because it’s cold (in order to keep my voice safe), I go to the beach or to visit some marinas to look at boats. That’s not an easy one. Probably it’s the peculiar mix of music and voices that make this form of art so intense and unique among all the others. Nothing else gives me those chills – nothing brings me to tears; only opera does. The magic in this beautiful mechanism is unexplainable; if you are lucky, this magic will touch your soul and will change your life forever.